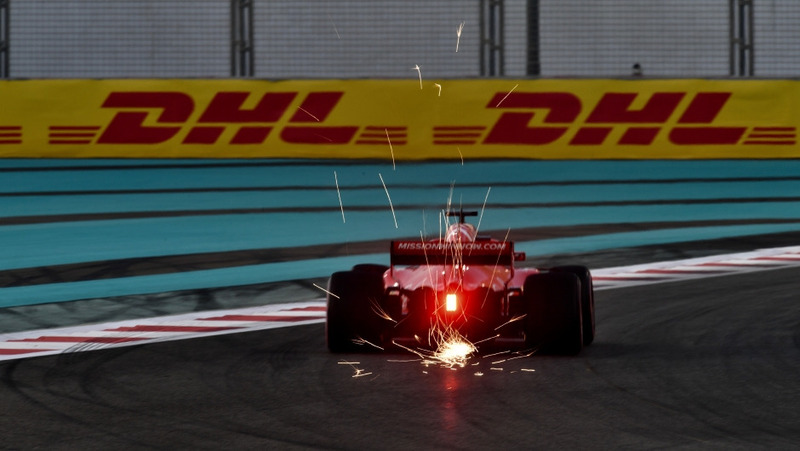 Sebastian Vettel sets DHL Fastest Lap in the grand finale to the Formula 1 season in Abu Dhabi. 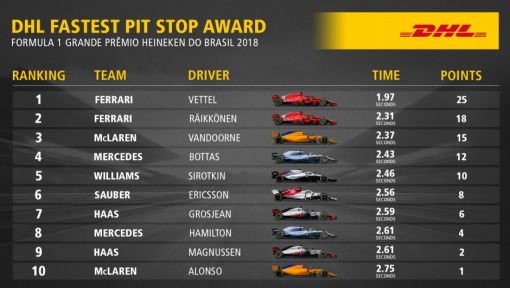 Valtteri Bottas lifts the 2018 DHL Fastest Lap Award trophy. 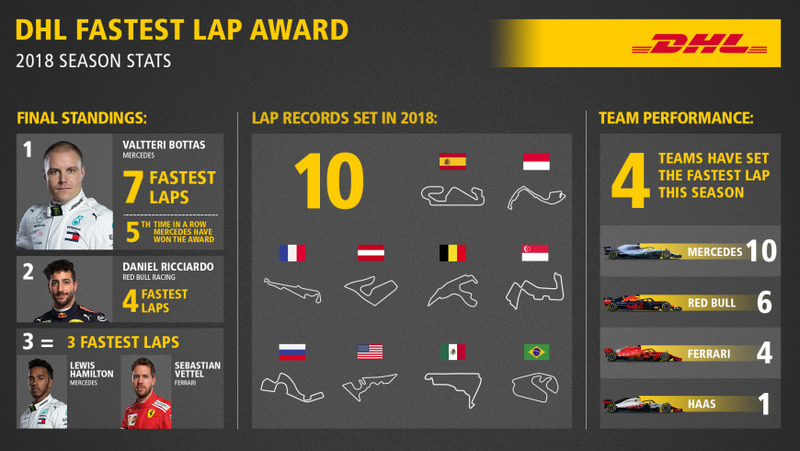 The 21st and final race of the 2018 Formula 1 season was dominated by world champion Lewis Hamilton, who won on the Yas Marina Circuit from pole position and set a new record for the number of points scored in a season – 408. As in the world championship, Sebastian Vettel was the race runner-up. 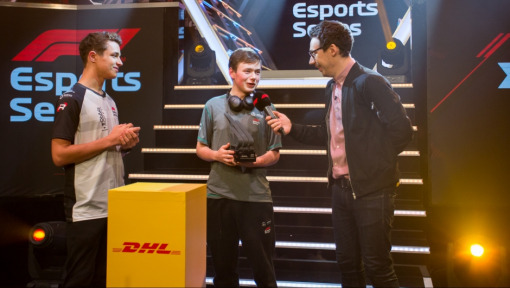 The Ferrari driver also set the DHL Fastest Lap, rounding the 5.5km track on the shores of the Arabian Gulf in 1:40.867 minutes. 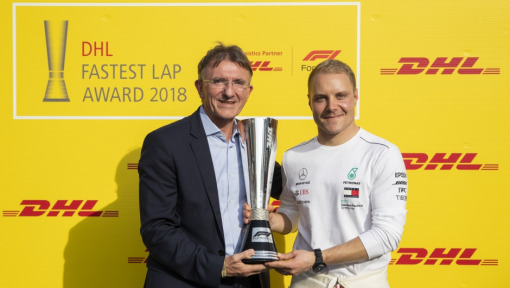 Even before the last race of the season got underway, Valtteri Bottas had cause for celebration when he was presented with the DHL Fastest Lap Award by Ken Allen, Global CEO of DHL Express. The Mercedes man set the fastest race lap seven times during the season – more than any other driver. 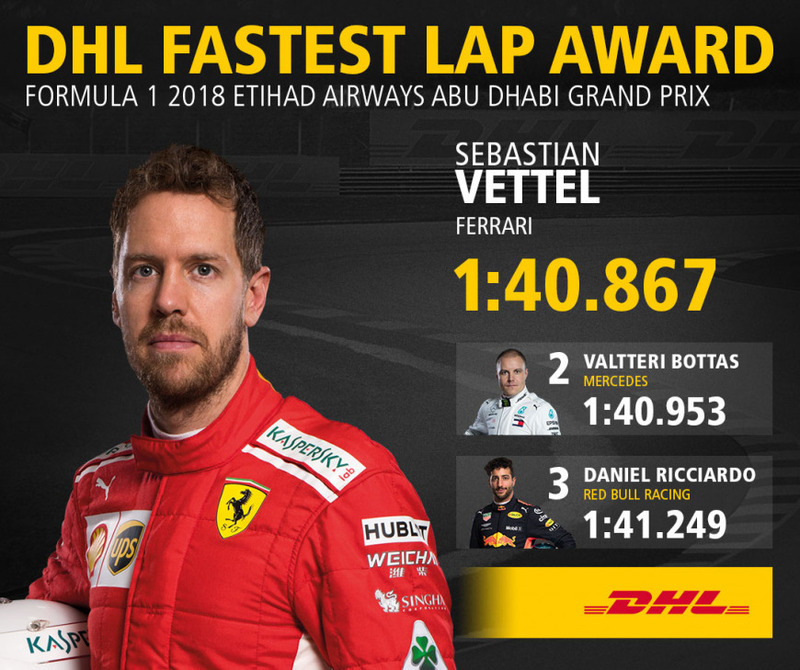 Sebastian Vettel’s DHL Fastest Lap was six tenths slower than the lap record set by the German in 2009 when Abu Dhabi first hosted its Grand Prix. 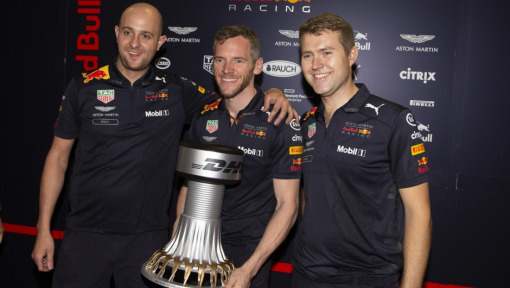 Still a Red Bull driver in that year, he set a time of 1:40.279 which has not been bettered by any other driver since then.